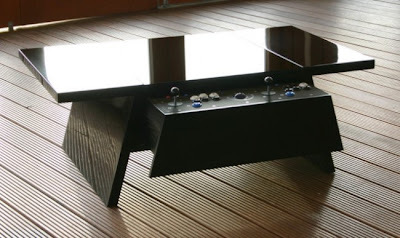 15 Cool and Creative Multi Purpose Coffee Tables. 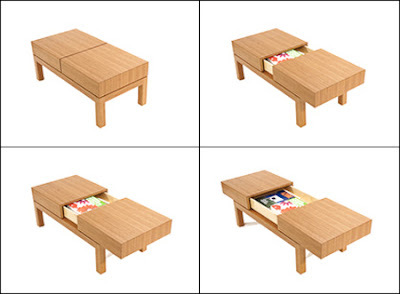 Collection of 'Cool and Creative Multi Purpose Coffee Tables' from all over world. Arcade Coffee Table: Classic arcade controls are hidden in a slide away drawer, a built-in Windows PC allows to play, watch movies, listen to music and surf the net. 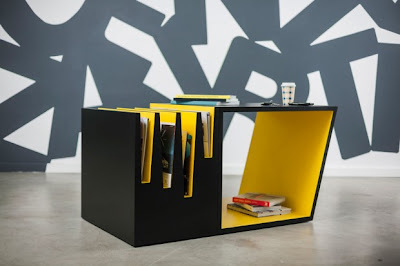 AdjusTable: A cool table that can be configured and used in multiple ways. Sony Coffee Table: Crafted in matte black aluminum with a sleek chrome lining, this cool coffee table with a push of a button transforms into a workstation with a sleek touch keyboard and an adjustable screen. 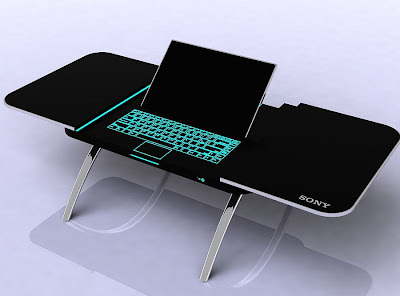 Once it slides, it displays the keyboard with its screen and DVD drive located on the side of the table. Divide Coffee Table: This multipurpose coffee table made from bamboo comes with a magazine storage. 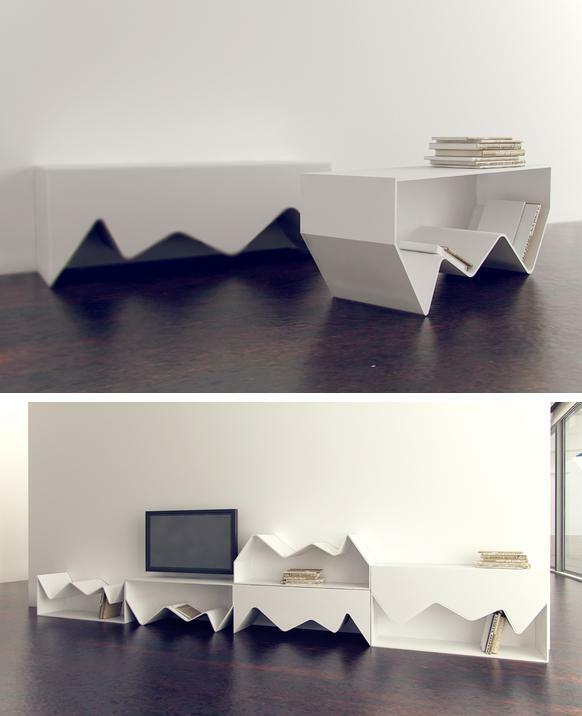 Shredder Coffee Table: This cool coffee table by Pigeontail Design transforms your junkmail into reusable mail. Curve: This creative table can be used as a coffee table and as a bookshelf. 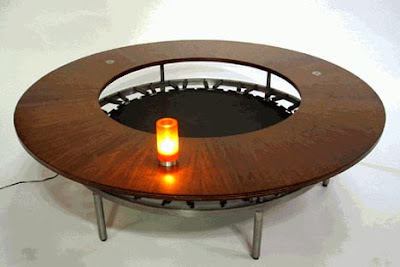 Trampoline Coffee Table: This cool coffee table can be used as coffee table and as a trampoline. 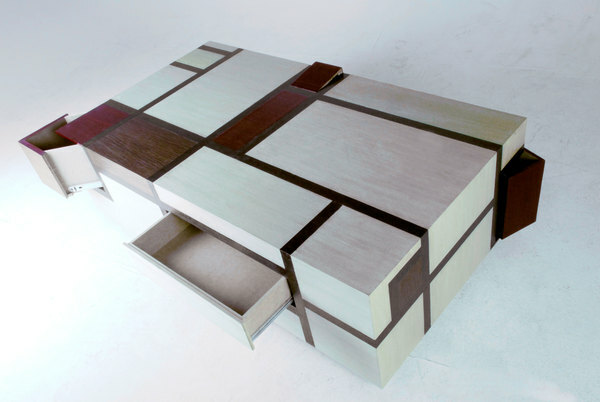 Mesa Stijl: This multi-colored coffee table comes with drawers. 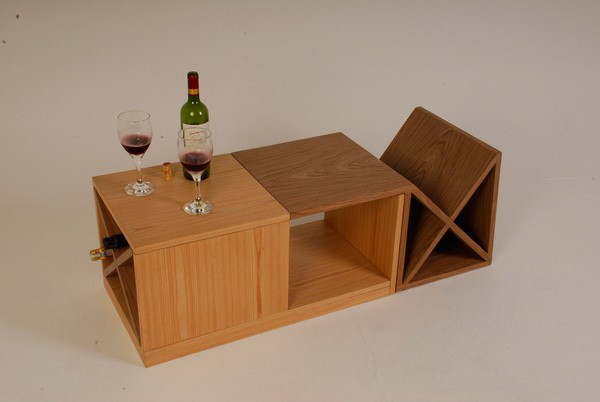 Bordeaux Multipurpose Coffee Table: Bordeaux is a multipurpose coffee table designed for small living rooms by Klaus Westphalen, it comes with built-in storage space for bottles, newspapers and magazines. 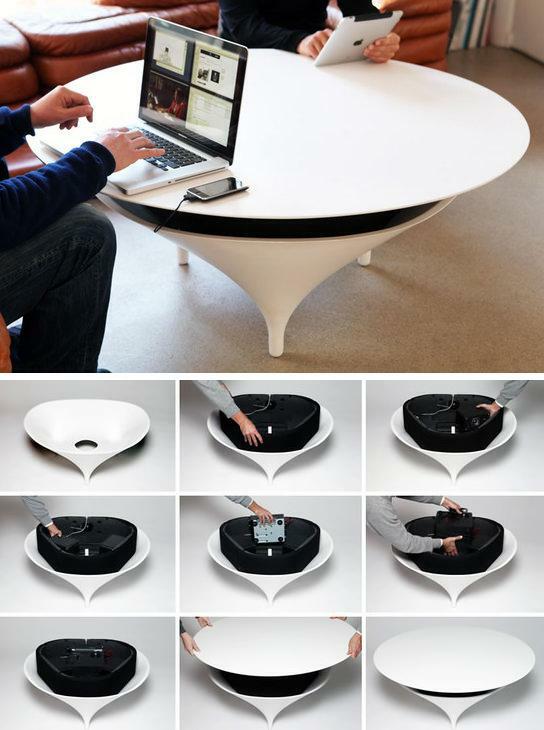 Acoustable Coffee Table: It provides music based on a high-tech coffee table, has space for player and remote, and becomes the sound system and power source. 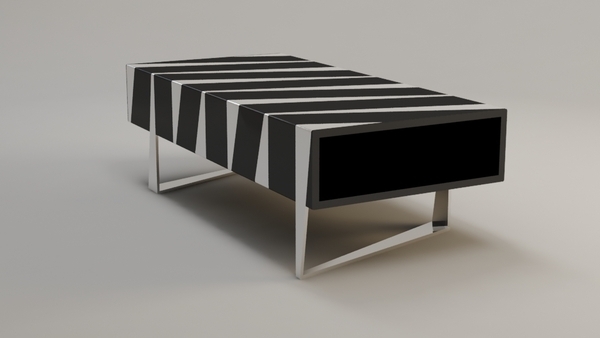 FOXTROT Coffee Table: This coffee table concept design comes with black and white stripes and its middle part can be used for storage. Coffee Table with Hidden Storage Space: This cool coffee table by Bo Concept has the top surface with multiple parts that slides to show hidden storage space. 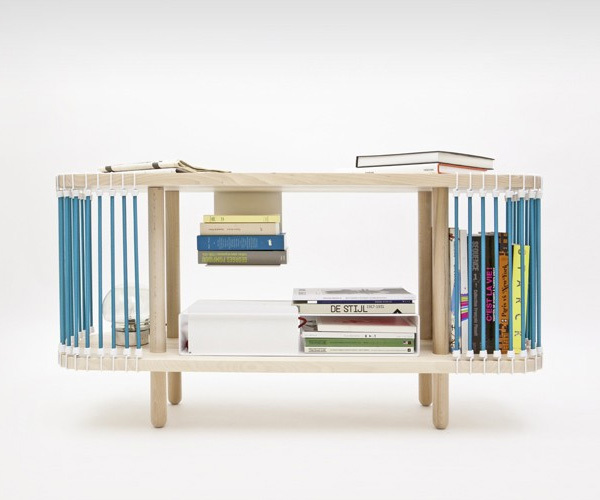 Bookcase and Coffee Table: It beautifully combines bookcase and coffee table in one. Coffee Table with a Horizontal Storage System: Designed by Brigada Design Studio, this coffee table comes with a horizontal storage. Creative Cardboard Products and Designs. 15 Creative USB Hubs and Unusual USB Hub Designs. 18 Creative and Stylish Foldable Gadgets and Products. 11 Creative Plant Stands and Cool Plant Stands Designs. 15 Creative Gadgets and Products for Picnics and Camping. 15 Creative Backpacks and Cool Backpack Designs - Part 4. 10 Innovative GPS Gadgets and Designs. 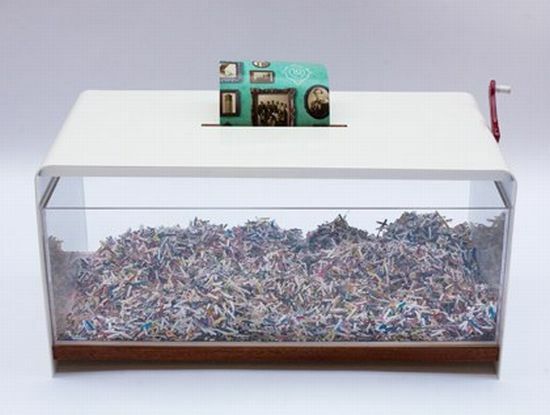 15 Cool Kinetic Energy Powered Gadgets. 15 Cool Built-in Planters and Flowerpots. 12 Cool Flower Inspired Products and Designs. 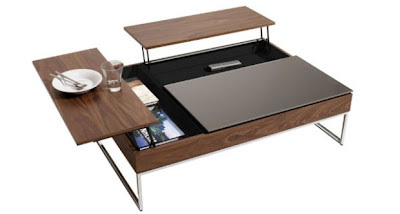 15 Innovative and Clever Cooking Systems. 15 Innovative and Creative Dental Products. 10 Creative and Cool Ways To Reuse Shoe Boxes. 12 Creative Ladders and Cool Ladder Designs. 15 Creative Grill Tools for your BBQ - Part 2. 15 Cool Hats and Creative Hat Designs - Part 2.